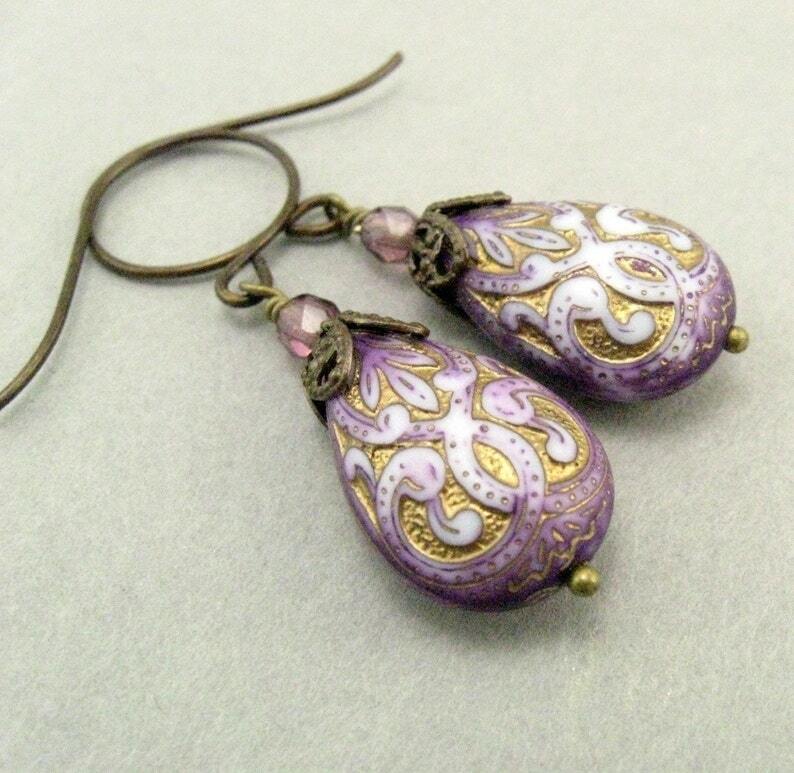 Purple and gold teardrop shaped beads with brass and glass accents. About 1.5 inches long. The brass in this necklace is nickel free, lead free, and is not plated. Very easy, simple, yet gorgeous to wear! The earrings come in a ribbon wrapped gift box shipped inside a secure padded mailer. Your jewelry was made with quality materials and has a 90 day warranty during which free repairs will be made. Returns accepted for 7 days. Hoop Earrings you choose the color!